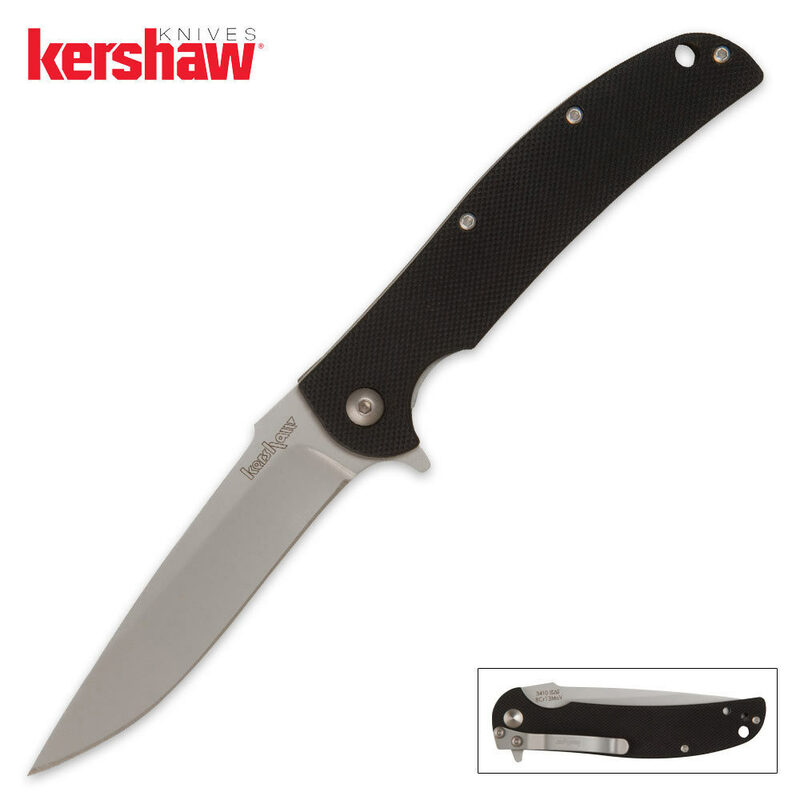 Kershaw Chill Plain Black G-10 Pocket Knife | BUDK.com - Knives & Swords At The Lowest Prices! When it comes to pocket knives, they need to be versatile for everyday use. The Kershaw Chill is surely a folding knife you can, and will, use everyday. With CNC-Machined G-10 handle scales, it is easy to grip and highly durable. This is a great knife, I can't say much more than what the other two reviewers said. It was just what I was looking for. I have used this knife since purchasing it in April '12. The only honing I have done is on a finishing stone (rarely) and a leather strap (once a week). It was razor sharp our of the package and is still razor sharp. It is light but has the "feel" of being a substantial work knife. I carry it while wear a suit, while doing yard work, or when I "just" want to carry a pocket knife without too much weight. It opens quickly and I have not had any accidental openings. I highly recommend the Kershaw Chill. It may be the most affordable "expensive" knife I have ever owned. to start off i LOVE this knife! its an excellent edc. theres nothing to dislike about this knife. its small, its light its hella sharp, its cheap, its sturdy. the liner lock is very well made, ive seen knives where the liner lock is just shamefully narrow and weak, or doesnt lock into place correctly. this knife's locking mechanism is very sturdy, has no wobble in the blade when locked. the blade itself comes razor sharp. it is a little narrow, but i like it, it just helps cut down on the weight and making it smaller. but that doesnt really take away from the knife in my opinion, the blade is a good width, looks sturdy. and to the g10 handles they feel really stiff actually. i thought it was going to be a little weak like some plastic, but its actually not that bad. the flipper is amazing for not being an assisted knife it opens pretty d**n quick. i highly recommend this knife to anyone who wants a low price high quality knife, for sure one of my new favorites.